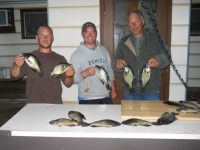 Are you looking for a hotel or motel near the Chippewa Flowage in Hayward Wi? With so many hotels and motels in the Hayward Wisconsin area who should you choose? Choose the Chip-wa Motel an affordable comfortable and convenient motel. 14 Miles east of Hayward on the corner of Hwy B & CC. Air Conditioning, satellite TV, microwave, coffee, WI-FI. Minutes from East or West side of Chippewa Flowage, Round Lake and Callahan Lake. Adjacent to snowmobile trail. Bait shops, restaurants, convenience store nearby.